Last two-three years we have been overwhelmed with new modding products. Some of these things like fan controllers were things that the real modders first made themself, and later manufactors started to offer these things. 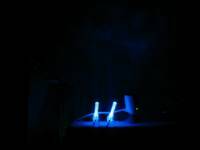 Other things like Cold Cathodes are also very usefull to light up your case. But also we have seen some products which are not really usefull, and only cool to use for a few times. And I feel the product we are going to review today is one of those. 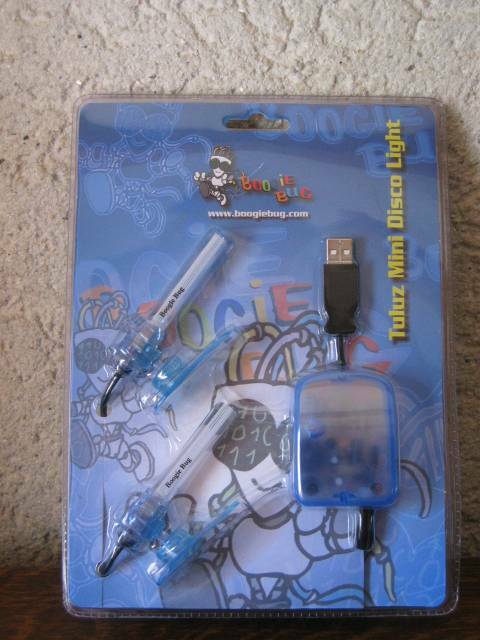 Here is the package of the Tuluz Mini Disco Light. Nice clear package so that the customer can see what he will get in shops. Also there are a few pictures of a funny space creature on the package. Here we have the complete kit. 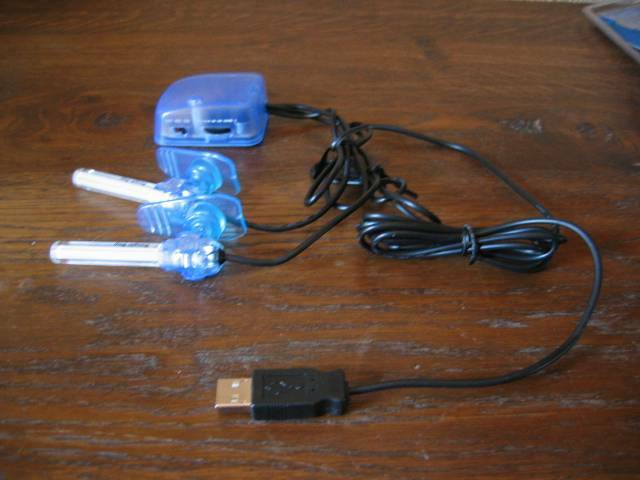 This is not a light kit for inside use, but for outside use. 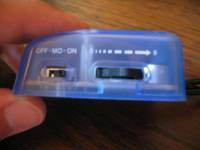 It has two bright LEDs and a sound module. 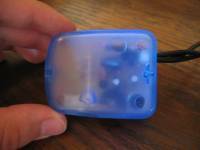 Here we have a look on the sound module. It has three settings : Off - sound activated - always on. You can also adjust the sound reactivity. 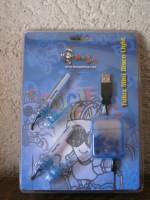 I have the blue LED version of the Tuluz Mini Disco, and this one has a blue translucent sound module. Here you have a look on the LEDs. 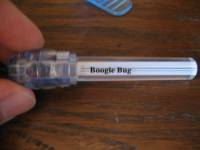 The LEDs sit in a plastic 5cm long tube, which stands on a translucent blue foot. You can turn around the LED tubes in all directions. This little gimmick is for outside use, so the most logical thing to connect it trough is ofcourse an USB connector. And here are a few pictures of the Tuluz Mini Disco in action. I got the version with Blue LEDs like you can see on the photos. The blue glow of the LED tubes is nice, and the light is just bright enough so you don't get a headache if you stare at it. The sound reaction is rather nice but unfortunately the sound source needs to be very close to the sound module, otherwise even on the highest sensitivity you won't see anything. But now in my opinion the biggest problem with this product : I can hardly find any good uses for it. 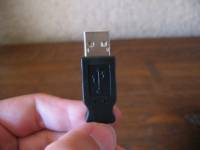 "Maybe on your display or on the sides of it, and with the sound activation that could be nice"? Unfortunately the wires to the LED tubes were a little bit too short so the sound module could not stay close to my speakers, and I found it rather annoying to look at, it distracted me to much. You could use it inside your case, but this product is not made for those usages, if you want to light up your case then I suggest you to buy a cold cathode, or a LED light kit. An example which Bacata gives on their site : "If you are listening to music or printing a document the Tuluz neons will break the tedium of the task with its flashing lights". Why would we be interested in looking at some flashing LED lights while printing one or a few documents? I'd rather prefer to get a drink or some food while doing that. And to light up your room the LEDs simply are not bright enough. 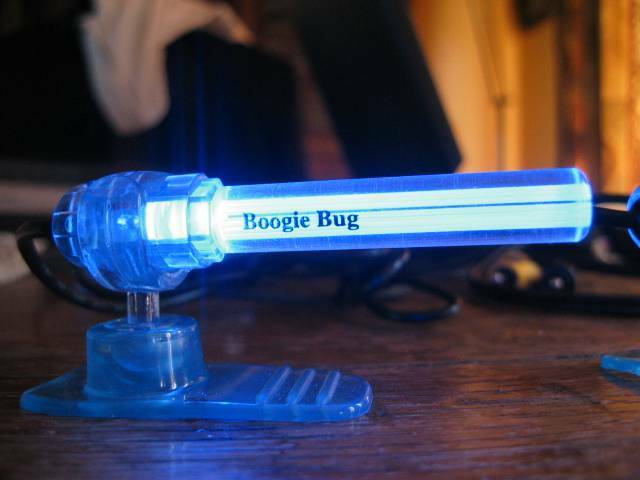 It will illuminate your room a little, but not enough I think. This is just my personal opinion however, maybe you can find a real great use for it, but I can't. Something like this for inside use in your case, with 4 smaller brighter LEDs would have been a lot better I think. Anyway within a few days we will have a review of the Tuluz Disco Neon, which is about the same as this product but with one big tube, instead of two small tubes. That product has some more usages. But more about it within a few days. Like I already said, this product is for most people not necessary. 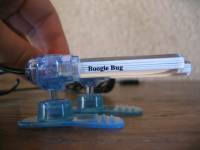 It is maybe a cool gimmick, but real good usages for it I could not find. The LEDs are not bright enough, and the wires to the LED tubes are way too short. I can imagine that some people may actually find a good usage for this product, but for me this is totally unnecessary. - I could not find a good use for it.